Cat lovers who celebrate Christmas, your tree prayers may have been answered. Argos, a UK retailer is selling six-foot-tall "half parasol trees" with the description, "Keep your perfectly placed baubles, bows and bells out of reach of curious, crawling kids or your cats' playful paws." 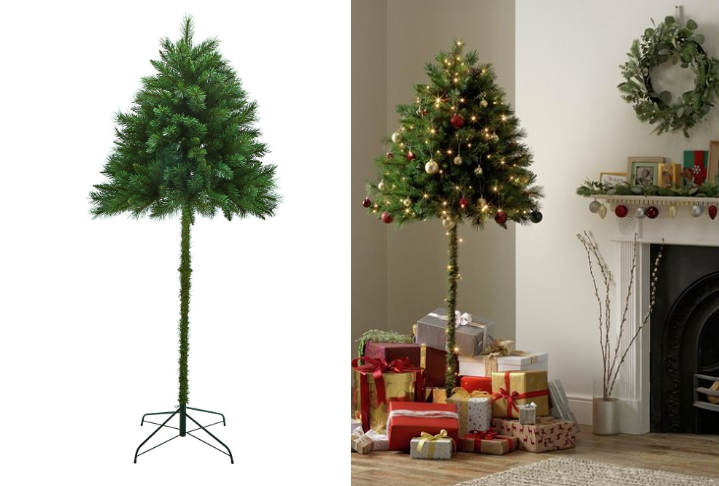 Argos' half trees cost £33.33 (about $43) and their flocked half trees cost £37.50 ($48).